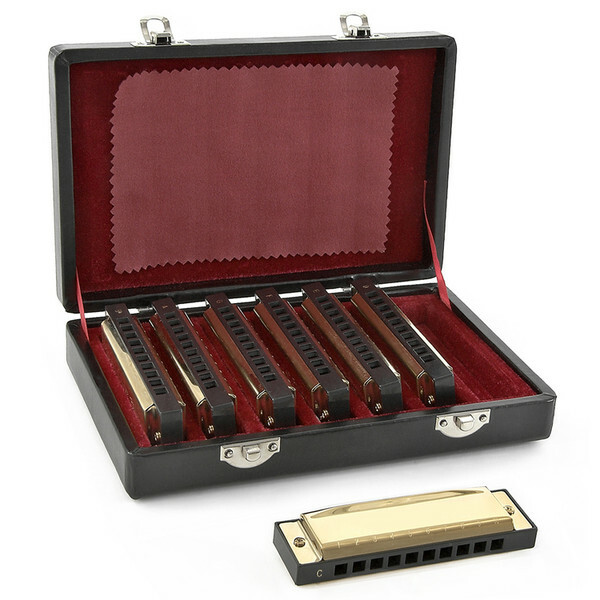 An exceptional quality 7 piece golden diatonic blues harmonica set in the keys of A, Bb, C, D, E, F and G in a vinyl covered presentation case with plush interior. 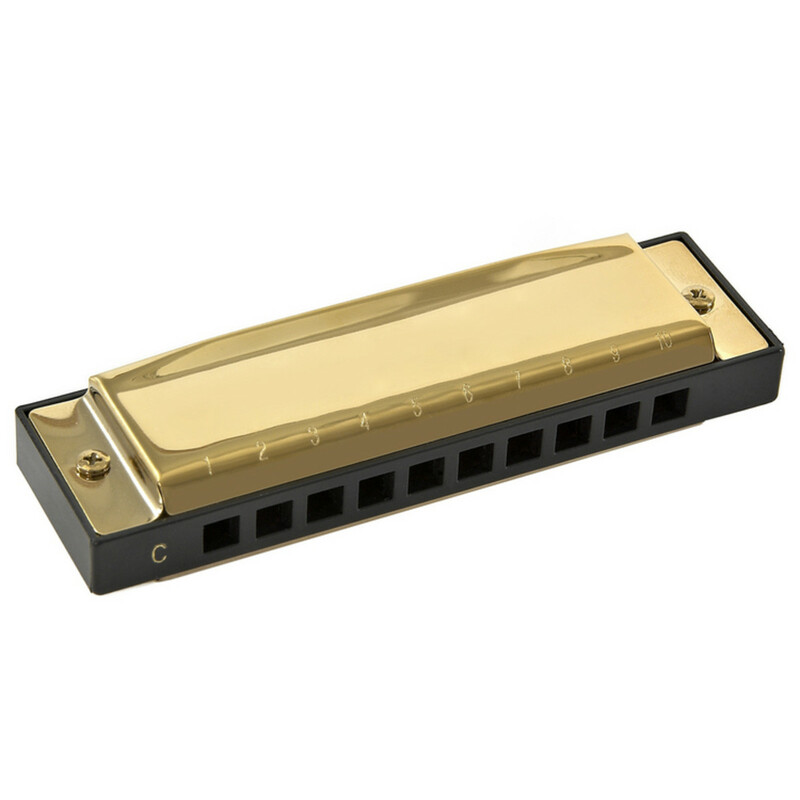 The Harmonica, also known as a harp or mouth organ is a wind instrument primarily used in genres such as blues, country and rock and roll. It is quite a versatile instrument, and can be played in many different styles. It has been made famous in Folk by Bob Dylan, Blues by 'Sonny Boy' Williamson, and even in Pop by Stevie Wonder. With a harmonica set this good, at this price, why pay more?